Reusing coffee table legs, table tops, or the table in its entirety is easier than you might think. If you’re a little creative and up for a little work, your old coffee table can be easily given new life as a bigger, better coffee table, or as something else entirely. 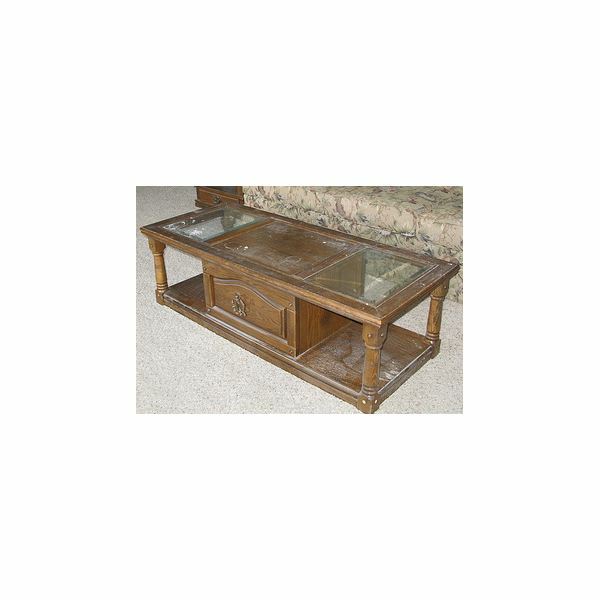 If you like its size and sturdiness, but the top is out of vogue or in bad shape, consider giving your coffee table a makeover. One of your simplest options is to do a little sanding, apply new paint or wood stain, and replace any handles or knobs. If the top needs to go, covering it with salvaged barn wood or heavy boards, first secured then sanded and stained for a fresh but rustic look. Or you could create a tile mosaic to cover the top, or a photo collage covered by a piece of tabletop glass. The possibilities are endless, don’t be afraid to get creative and try a few different things before settling on your final coffee table style. Interested in reusing coffee table legs, but have no use for the top? How about finding a couple funny-legged tables at garage sales or thrift stores and using the legs to build a funky little bookshelf or plant stand? Simply saw the legs to even lengths, screw to sturdy cross-boards, and paint. From piano benches to plant stands, coffee tables have a lot of potential for new lives as different furniture. Some people refinish or repaint smaller tables to serve as HDTV stands. Others add long legs to larger coffee tables and turn them into functional work or kitchen tables. They also make great low-level coloring tables for children’s rooms. Another approach is to add upholstery and convert the coffee table into a decorative bench, ottoman, or piano bench. If desired, paint the legs first. To the top, add even layers of foam or stuffing, cover with a blanket, secure the blanket with staples, then cover with fabric and staple. 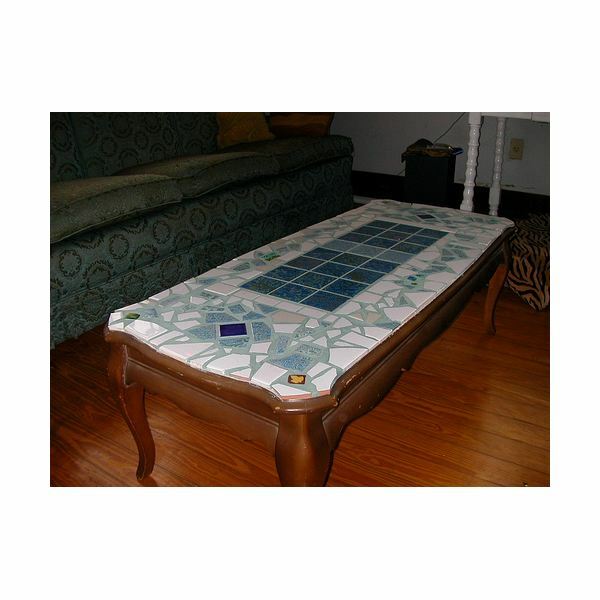 Simple and easy to change whenever you feel like fresh fabric, this way of reusing coffee table legs without disassembling the top also gives you a new piece of furniture on the cheap. Above all, don’t hesitate to be creative. Thinking outside of the box and putting in a little extra work to create the table you’re envisioning will almost certainly be worth it. When it comes to reusing, coffee table projects are some of the most fun (and functional) you’ll find.